Let’s talk about crate training and puppy whining at night. I am assuming that your crate puppy is approximately 8 weeks old or older. I also assume you have taken puppy to you vet and your vet has cleared him or her from any intestinal and urinary problems. In other words, the puppy is a healthy dog. So you have done all the right things. You’ve put all your puppy training tips into action. You have used treats and toys and patience to get puppy to accept his dog crate. He goes in it willingly. He even stays inside with the door closed for a short time. He is doing so well with dog crate training. You thought you were about done, right. The problem is that puppy whines at night. Of course this is not acceptable and has to be dealt with. It is nearly impossible for anyone to sleep with a dog whining. Not only is this is extremely annoying I think that subconsciously we feel guilty as if we are punishing the pet even though our conscious mind knows we are simply crate training a puppy. Just keep reminding yourself that you are in charge, in control and that this is temporary. Think about this for a moment. Puppies are not much different from human children when it comes to whining or crying. What happens when you pick the baby up each and every time it cries? It continues to cry to get what it wants for years. I understand it is difficult to let your baby cry without picking him or her up. It is also difficult to allow puppy to cry without attention as well. Both cases are treated pretty much the same, let them cry assuming there are no baby or dog health problems. Just remember who is supposed to be in charge of the situation. Puppy is attempting to send you a message. It is your job to determine what puppy is trying to tell you. Just what you wanted to hear, right. Puppy is getting to know their new family and new surroundings. They may be feeling somewhat alone without their brothers and sisters and mother. They may just want some attention or affection from their new family or pack. Remember that whining is part of their nature at this young age. Do not pick the puppy up each time it whines. Do not give the puppy attention of any kind each time it whines. Do not punish puppy whining physically or emotionally at any time. Be sure to take puppy out to do his business before bedtime. Be sure to have comfortable bedding inside the dog crate for puppy. Bring puppy and his dog crate into the bedroom with you. Be sure to leave a couple of his favorite things inside the crate. Cover the dog crate so the crate environment will feel more like a den. Make sure the dog crate is not too big. This is a mistake made by many. You may wish to leave a TV or radio on to keep puppy company. While you and puppy are going through this night time education process keep as quiet and still as possible. He will grow tired of puppy whining without attention and fall asleep. 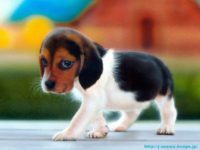 You will probably find that dealing with puppy whining is the most difficult part of crate training puppies. It will not take much time as long as you don’t acknowledge his request (whining) for attention. In just a few days he will be sleeping quietly exactly the way you want him to. I couldn’t agree more with this post. Puppy training is one of the most difficult parts of crate training. While whining is part of the puppy’s nature just like children, we must not acknowledge his whining for attention. Then again, they could also be attempting to send us a message. However, if we pick them up when they whine, they could use it to get what they want, which is out of the crate. We have to understand that this is temporary, and we shouldn’t feel guilty that we could be punishing our puppy. Jack, that is very kind of you. I appreciate it. We are open to guest posters who know their niche anytime. Thanks again. Great post. I just wanted to say thank you for your work! I think other website owners should take this site as an model – very clean and wonderful style and design, in addition to the content. You are an expert in this area!